Accompanied by your choice of a professional photographer or a hiking instructor as your guide, you can explore the remnants of the desert's earliest dwellers. Experience some of Arizona's most rugged and spectacular scenic panoramas or visit an historic gold mine and pan for gold by the side of a working prospector. 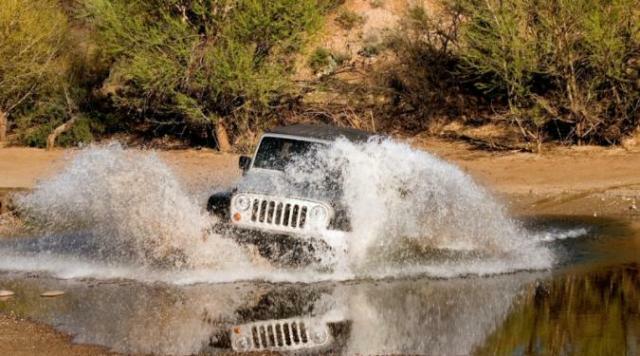 These are just a few examples of the many exciting and educational off-road tours that Windwalker has to offer. When you combine an off-road or hiking adventure with a professional photographer, you are assured of some fantastic photos. On these private excursions you can explore and photograph slot canyons, mountains, lakes, Native American ruins and immerse yourself in the pristine beauty of the Sonoran Desert. 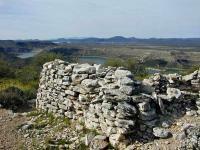 When you combine the same adventure with a desert naturalist you are assured to get a glimpse of our primitive past. 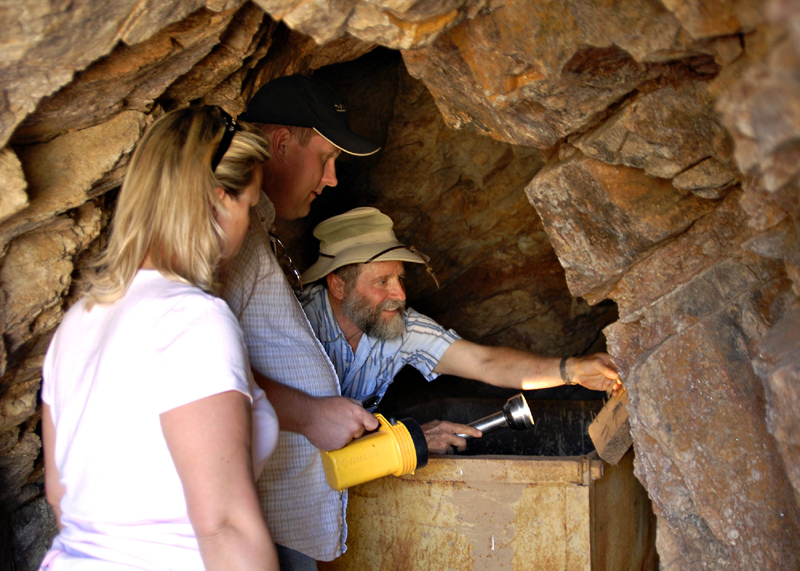 Visit Humbug an historic gold mine at the base of the Bradshaw Mountains. You'll see the homesteads and grave sites of the first settlers who found gold in this area in the 1800's. While working along side a working prospector, you will hear some well told stories, learn about the geology unique to the area, pan for gold and keep what you find. Then just a mile or so up an old wagon road we can investigate a 500 foot deep mine tunnel known as the Pero Bonito Mine, complete with ore cart and tracks. This is truly an exciting 4-wheel drive adventure and, as you can see, might not be for the timid. Travel around Lake Pleasant, one of our largest desert lakes, experience unusual geological rock formations, explore the narrow slot canyons formed eons ago by wind and water, and bask in the rich vistas that only belong to the Sonoran desert. 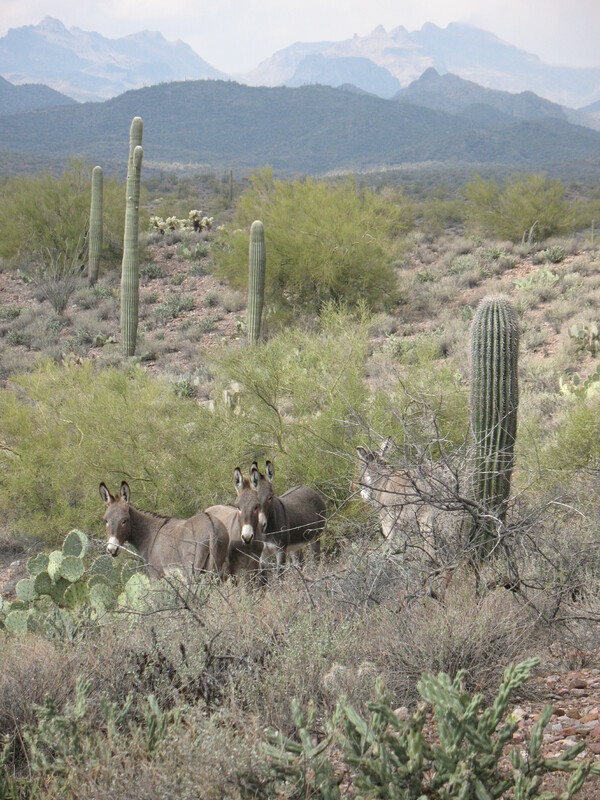 We get pretty far out in the desert on this trip so there's a good chance that we might see some wild burros. Accompanied by a professional guide, you'll explore sites of the desert's earliest dwellers. You will learn about the culture of these ancient people by visiting some Native American ruins and you'll experience the desert's most rugged, yet spectacular scenic panoramas. There is some hiking involved in this trip but it is worth the effort. When you reach the top of the mesa, you will be rewarded with a breathtaking view of Lake Pleasant. These tours were inspired by Dr. James Schoenwetter, retired professor of archaeology at Arizona State University.